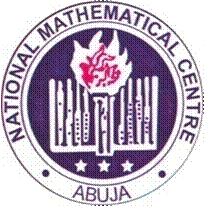 National Mathematical Center, NMC Abuja Foundation Postgraduate Course on Mathematical Foundations of Computer Science Online Application Form, Aims and Objectives, Qualifications, Duration and Application Deadline for 2018/2019 Session. The aim of the course shall be to specifically relate the traditional mathematics areas of algebra, combinatorics, real analysis and geometry to computer science research and practice. The objectives are: To create a renewed awareness of the importance of mathematics in carrying out meaningful teaching and research in computer science. To present a holistic integration of the teaching of mathematics with computer science for postgraduate student and young researchers. Postgraduate student in any of the following fields of study: computer science, information technology, computer engineering, mathematics physics, statistics, electronics/electrical engineering, mathematical education and young lecturers in any of the above fields. Intending participant should contact CSP Coordinator @ 07059475509, 08069680153 computerscience@nmc.edu.ng, compsci.nmc@gmail.com.